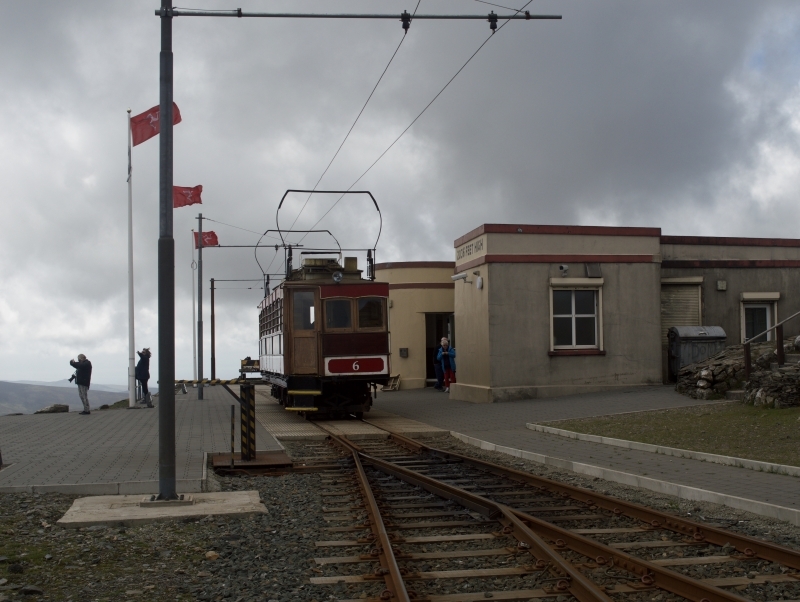 The Snaefell Mountain Railway (Manx: Raad-Yiarn Sniaull) is an electric mountain railway on the Isle of Man in Europe. It joins the village of Laxey with the summit of Snaefell, at 2,036 feet (621 m) above sea level the highest point on the island. It connects with the Manx Electric Railway (MER) in Laxey. The line is 5 miles (8 km) long, is built to 3 ft 6 in (1,067 mm) gauge and uses a Fell Incline Railway System centre rail for braking on the steep gradients. It is electrified using overhead wires at 550 volts direct current, with bow collectors. Please give us your overall rating for Snaefell Mountain Railway.